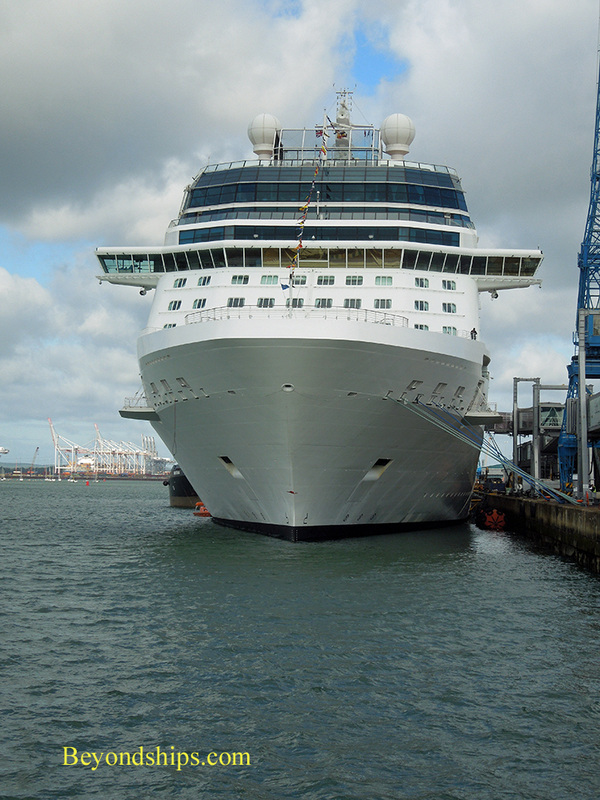 Celebrity Eclipse was built for the British market. Although Celebrity Cruises had had for many years ships calling in Britain and even sailing occasionally from British ports, the brand was not that well known in the UK prior to 2010. Because the UK was a rapidly growing market and in light of the success that Celebrity's sister company Royal Caribbean International had had in penetrating the British market, Celebrity decided to commit one of its new Solstice class ships to Britain. That ship was Celebrity Eclipse, which has for the last three years spent the bulk of the year sailing from Southampton. “I think this ship has become almost a home to the British. They love this ship,” added Cruise Director Sue Denning. "It has a nice heart." Indeed, even when the ship is sailing out of Florida in the winter, Eclipse has a large number of British passengers. “In the Caribbean, we were averaging 300 to 500 guests from the UK. In my opinion, they have enjoyed the experience of the ship in Southampton and they stay with what they like,” commented Mr. Brady. In addition, Celebrity has adjusted its product to suit British tastes. Tea kettles were placed in all of the staterooms. Certain British brands of beer are available in the bars and lounges. Similarly, British dishes have been added to the menus and the ship's buffet restaurant. When Eclipse first started sailing from Britain, most of her British guests were people who had traveled on Royal Caribbean and who knew that Celebrity was affiliated with Royal. Now, “we get guests who were on Independence [of the Seas – Royal's primary ship in the UK market] but more often P&O, Cunard or Princess - - the traditional [British lines],” noted Mr. Brady. While Celebrity has reached out to the British market, the cruise experience on Eclipse is not exclusively British. Indeed, when the ship is in the Caribbean, the focus shifts to the North American market. And even when she is cruising out of Southampton, there are usually a significant number of North Americans aboard. “I have a lot of British guests who say to me that they like a good mix. They don't like it to be all one or the other. They like to be in with the Americans and Canadians.” Ms. Denning noted.